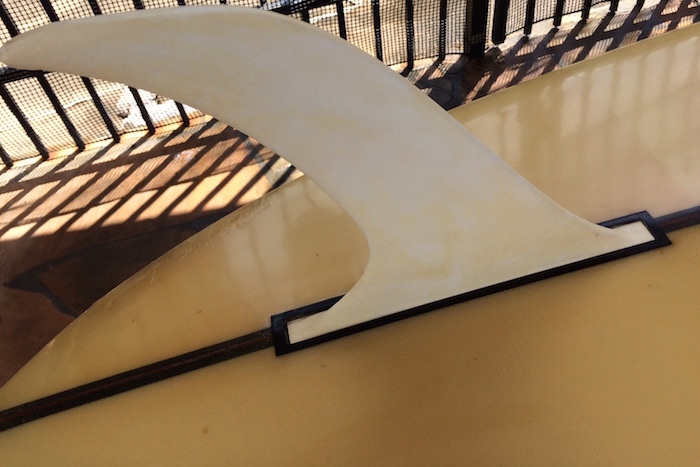 8’4 Hansen Mike Doyle model 8’4 single fin longboard from the late 1960’s in all original condition. 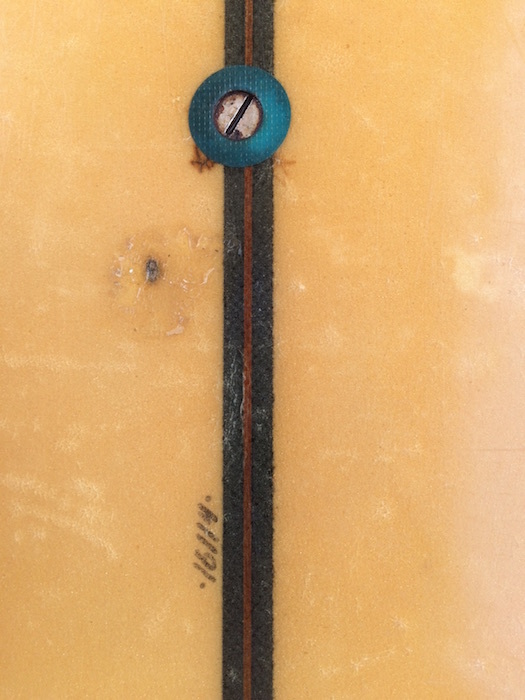 Various small dings on the board with one significant ding on the side of nose, not sealed (request close up pics of damage spots if interested). Dan Hansen: Surfboard shaper and manufacturer from San Diego County, California; founder of Hansen Surfboards, and a leader of the signature model era in the mid-1960s. Hansen was born (1937) and raised in South Dakota, lettered in boxing, track, and football, and earned up to $600 a week as a mink trapper. He began surfing at age 18, after graduating high school and hitchhiking to San Diego. Hansen Surfboards sponsored some of California’s hottest riders, including Mike Doyle, Rusty Miller, Linda Benson, and Margo Godfrey, and offered some of the most popular surfboard models, like the Master, the Hustler, the Powerflex, and the 50/50. Hansen was also good with the media: his advertisements were well-designed and clever, Hansen himself made the cover of Surfer in 1962, and he was one of 10 board manufacturers featured on a 1965 Surfing portrait cover. Hansen continued to surf often, and in 1967, he and Diane Bolton won the tandem event at the United States Surfing Championships. In the early ’70s, Hansen was an early investor in Ocean Pacific beachwear. Hansen moved back to the midwest, but kept the shop, which rebounded in the decades to come, and remains in the family.